Glenorchy Centre - Ideal for small groups including, scouts, churches, schools and more. The Glenorchy Centre is situated in the small Derbyshire town of Wirksworth on the edge of the Peak District National Park. There's plenty to do in and around the town and a few minutes walk in any direction from the town will find you in the rolling Derbyshire countryside. With space to sleep 26 people the Glenorchy Centre is a cost effective base for large family groups to meet together in an attractive and interesting environment. With table-tennis, snooker, DVD player and games there is plenty to do in wet weather too. As well as family-friendly restaurants and cafes the town offers plenty of local facilities. With a large hall and several smaller meeting rooms, the Glenorchy Centre provides a flexible space for worship, prayer and discussion groups. A piano is available on request and the stage is ideal for drama and performances. There are 6 local churches, including the medieval St Marys's parish church. Wirksworth is on the edge of the Derwent Valley World Heritage site, providing easy access to educational and fun activities, such as the series of mills in Matlock Bath, Cromford, Belper and Derby. In the evenings, the snooker and table-tennis tables as well as the stage give an opportunity for winding down. The large bedrooms and separate leaders' room also make the centre convenient for groups of young people. 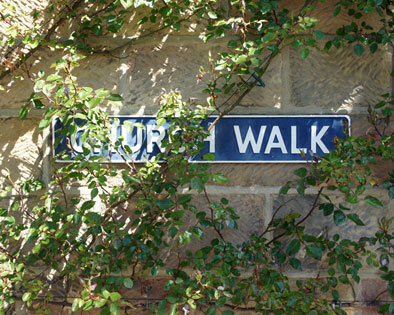 Wirksworth is well connected by well maintained and signed local footpaths towards Carsington Water, Kirk Ireton, Alderwasley, Middleton and Cromford and beyond, making it ideal for a circular day-walk. Three long distance paths also pass within 5 miles of town, the High Peak Trail, Midshires Way and Limestone Way. Wirksworth has a good variety of local shops and facilities, as well as a collection of significant historical buildings, leading to its title of "Gem of the Peak". In the surrounding area, a visit to Bakewell (10 miles) for a 'Bakewell Pudding' is a must. Matlock Bath (3 miles) will be of particular interest to those who prefer more demanding pursuits, providing excellent opportunities for canoeing and rock climbing. Nearer still is the village of Cromford where the Arkwright Mills are open to the public. The Cromford canal, built close to Sir Richard Arkwright's industrial complex, provides pleasant walks along its banks. The church that owns and manages the Glenorchy Centre. Find local information concerning council supported activities. Information and contact information for the Peak Park. Information on the County of Derbyshire as a whole, and County Council information and links. Information about businesses in Wirksworth and the surrounding area.